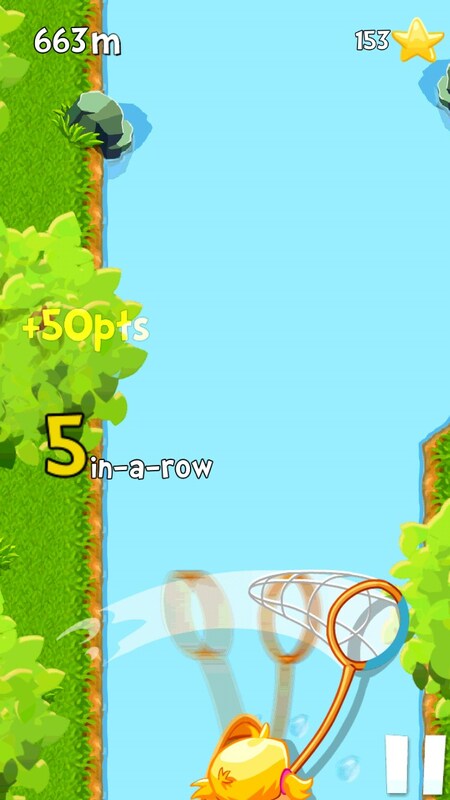 Chasing Yello – Games for Android 2018 – Free download. Chasing Yello – Helping to save the little fish. 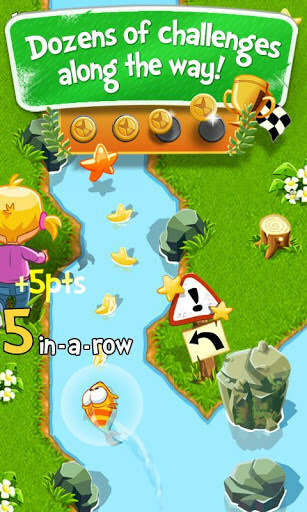 Chasing Yello - it's very bright and colorful arcade game for Android, in which we have to help the little fish called "Yello" escape from the cruel mistress, 7-year-old girl Matilda. One day we are able to jump out of an aquarium in a small pond, which is the beginning of our escape. Development of the game deals with an experimental studio Pocket Gems, which we know from the many social games. Specific examples can be identified simulator Tap Pet Hotel , a review of which is on our website. By its geimpleyu Chasing Yello can be referred to the runner with the only difference that we do not run away, and float away, jumping and bending around obstacles. 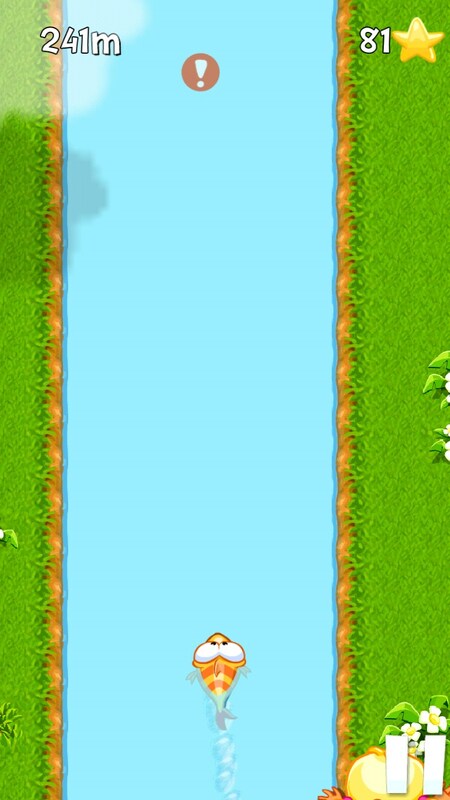 The game does not separate levels, obstacles and routes each time are random. The game lasts exactly until such time as we did not catch Matilda. After that, we start from the beginning, but we will have a new experience, as well as the opportunity to buy interesting improvements and amplifiers. Control of the game is simple: the gesture we make dive down under the water, which helps us to avoid a collision with floating trees. Sign up can make the jump, which helps to dodge rocks, trees, and predatory fish. 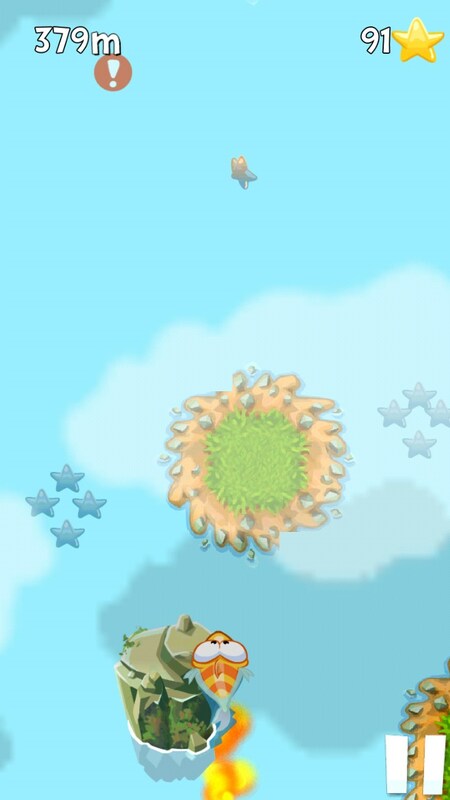 By tilting the device, we also manage the location of fish. 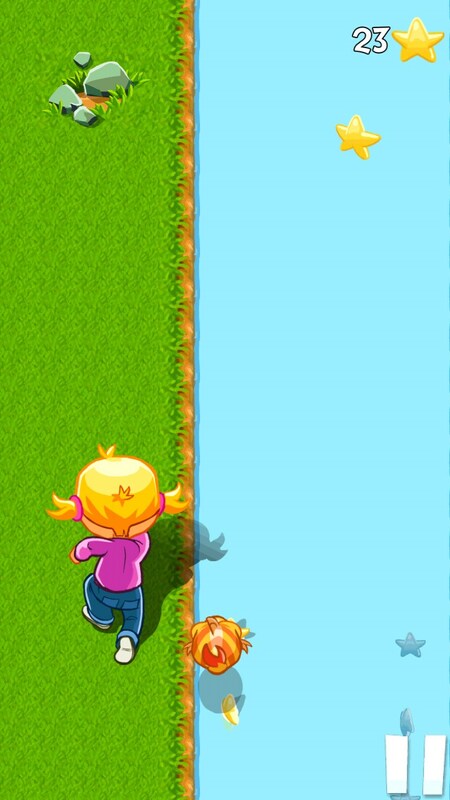 Despite the repetition and monotony, play Chasing Yello very interesting as game situations quickly follow each other, and if 2 minutes ago Matilda ran close to the shore and tried to catch up with us, the more she'll be chasing us for inflatable boat and use network and sochok. Among the bonuses and amplifiers there is an accelerating rocket, shielding, magnet, helping to collect as many stars and so much more amusing. 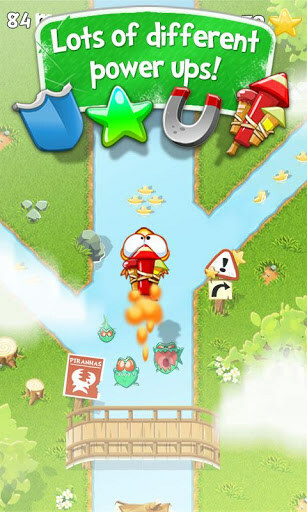 The disadvantages of the game include a large number of errors (sometimes the game just does not perceive gestures), and poor responsiveness geimpleya. But this is just nit-picking, as in future versions of this all must fix. Summary. 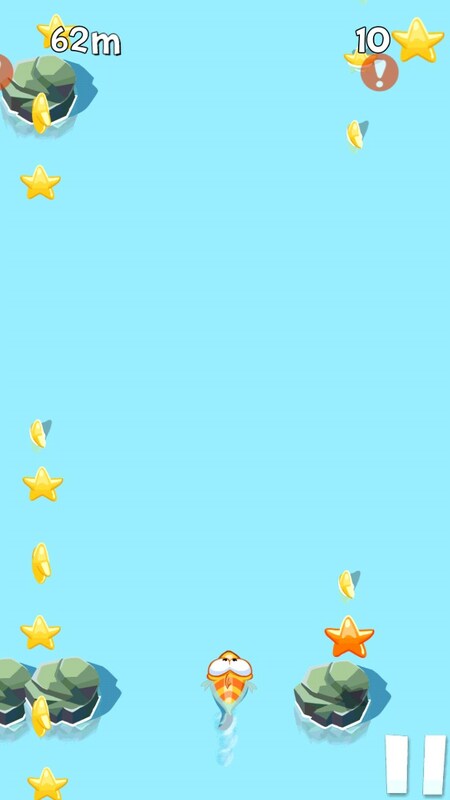 Chasing Yello - it is very easy to learn and addictive arcade game for Android, the quality is comparable with such quality runners like Jetpack Joyride and Temple Run . The game is free and without any restrictions.